A perfectly maintained lawn adds tremendous value to a property. And not just the real estate value, people are also impressed with a flat lush green lawn which looks fresh all around the year. Apart from being environment-friendly surface to carry out activities, a natural lawn also provides many health benefits. But what does it take to keep a lawn healthy? Many things. And one important element is regular watering. If you want a lawn that is healthy then you should start focusing on watering it properly. Without regular supply of clean water at right intervals, it won’t take it long for all the green to fade away. But what is the right time and techniques to water the lawns? Are some hoses okay? Sprinklers systems are the best, right? These are just some of the questions that pop up when you think about watering the lawns. Watering lawns is a science and we here to help you with it. If your lawn appears dull and dry, it’s a simple sign that it needs water. One easy way to ensure that your lawn is in good condition is to walk on it. If your footprints stay there for long then it means it is running dry. But you should not run away and turn on the sprinkler systems just yet. There are certain time-periods when watering the lawns give you the best results. The morning and evening time slot is best for watering. During the morning (before 10am) and the evening (4pm-6pm) evaporation rate is lower. It gives the water enough time to seep into the soil. The water should soak 6-8 inches deep into the ground. You can check this by digging a screwdriver deeper into the ground. You can also use a shovel and lift up the sod. Record the time it takes for the water to reach that exact level and water the lawn for that duration every time you repeat watering. Every lawn is different so make sure you experiment with the depth and time. You will come across many types of lawn sprinkler systems in the market. One of them is the pulsating sprinkler which is one of the better lawn sprinklers. If you don’t have the luxury of getting an in-built and automatic sprinkler, you can get one and these and hook it up to a garden hose. It sprays the water horizontally, making it less susceptible to losses due to evaporation. People often make the mistake of over-watering the lawns. They would water them over 15-20 minutes daily which is a complete no go. If you want to have it like the pros, then don’t go for lawn watering more than 2 days a week. Lawns are tough, they can stay fresh up to 2-3 weeks without water. Over watering can lead to problems of fungal growth and weak root systems. Both of which are not good for a growing lawn. If your mind wanders a lot and often forgets about shutting off the tap then you should get a timer. These cheap but highly effective gadgets will shut off the water supply after the set time period. This way, you don’t have to worry about flooding your garden when you binge watching that new season of the show you like. P.S. 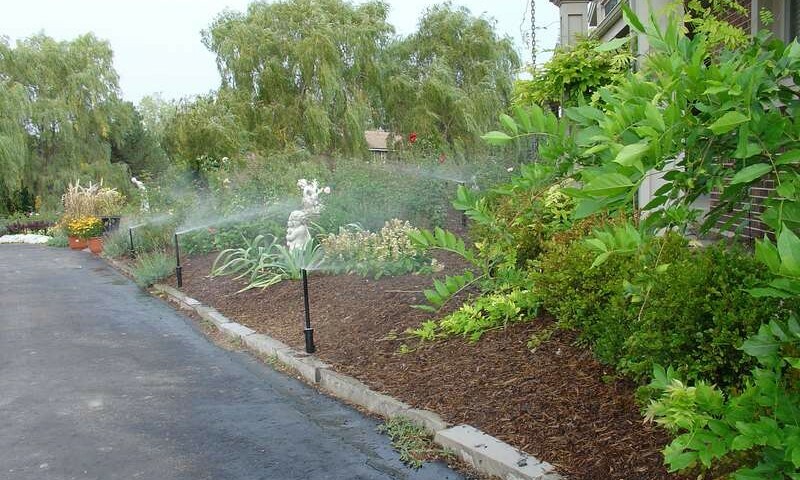 – Get in touch with an irrigation specialist like us to get the best out of your lawn.